It’s easy to see where the inspiration for Dream of the Bloodmoon was found. The author admits it’s inspired by Slender and SCP, but there’s more to this first person horror game than just finding this or that object and escaping a monster. There’s a short story that unfolds as we discover the solution to some puzzles, including collecting some teardrops. The nightmare landscape you explore is amazingly detailed and filled with incredible special effects, making it one of the best looking free horror games available so far. The artwork seen in the intro and interludes is great and very expressive. 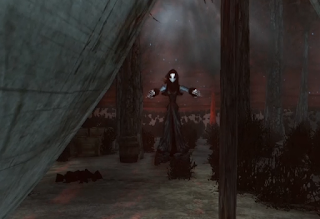 Dream of the Bloodmoon is so good that it’s an honest mistake to think it may be a retail game. Sound is also impressive and even essential to help you with some puzzles. 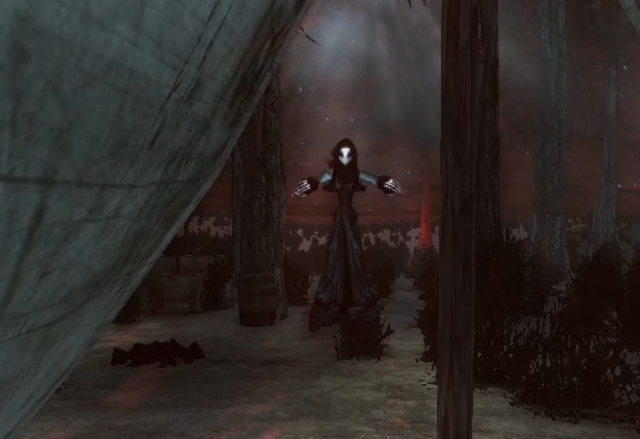 Dream of the Bloodmoon is easily one of the most exciting free horror games released so far. It’s beautiful, plays like a dream (pun not intended) and it’s actually pretty scary, not just because of the ghostly girl that happens to haunt you, but also because the whole atmosphere is just creepy and mysterious. Definitely recommended.